Complement your bedroom with this traditionally styled Louis Philippe Bedroom Collection by Coaster. 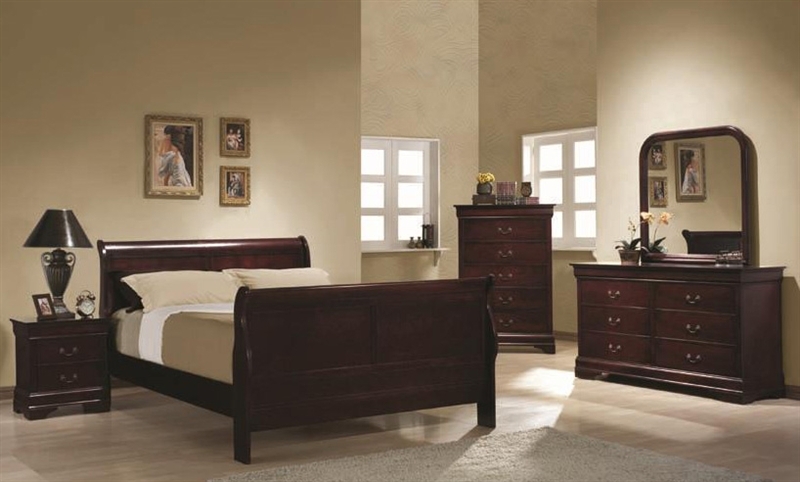 The timeless design will bring pure elegance into your bedroom decor. Drawers feature dovetail construction for strength and stability, while metal on metal drawer glides allow drawers to open and close smoothly and firmly. Drawers are accentuated with Louis Philippe style antique brass metal door handles. The 6 Piece Set includes a queen size bed, dresser, mirror and one nightstand. You might optionally add chest, and/or another nightstand to the set.